TIFF 2015: Day 8 | Katarina G.
Back to movies! On Thursday I managed to see three films and have a nice dinner and make it to bed early. I woke up a bit tired and unwilling to invest too much emotional or intellectual energy into anything I was seeing, because I was already feeling drained and in need of some feel good pick me ups. 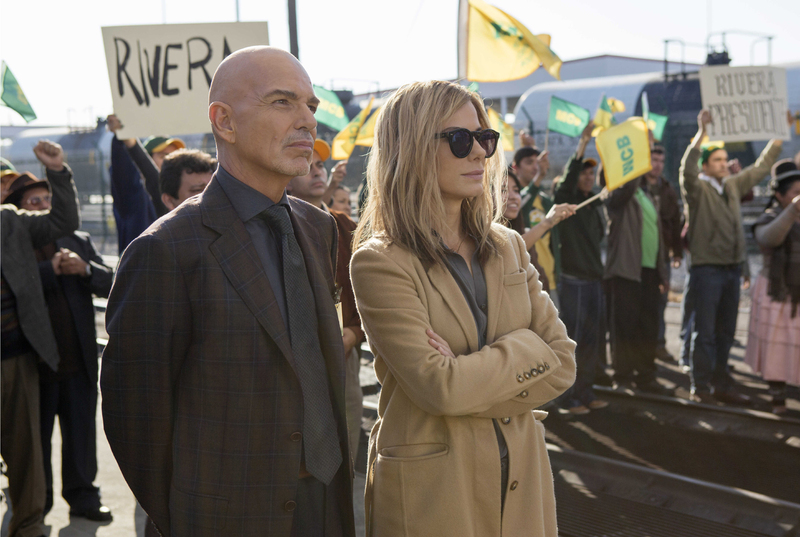 First up, I saw Our Brand Is Crisis, the Sandra Bullock number loosely based on a real story of an American political consultant who helps a Bolivian presidential candidate win the election. There’s actually a 2005 documentary (same title) which tells the story of the real strategists and the real election, which I’d love to check out because the fictionalized version left me feeling a bit weird. I can’t put my finger on what was wrong with it (I think the ending, which is both jarringly hopeful and too-easily-redemptive, had something to do with it) but there was something about the largely comedic tone of the film’s first half that just didn’t gel with the truly depressing outcome. I was really hopeful since it’s directed by David Gordon Green, who has more hits than misses books, but … I’m not sure about this one, and I’d love to read up on the actual situation. Next up I saw Mr. Right, which is basically a really dumb story about a kooky girl falling in love with a charming hitman. And vice versa. It doesn’t matter how dumb it is though, because Anna Kendrick and Sam Rockwell are so incredibly charming, charismatic, likeable and delightful to watch that the film ends up being greater than the sum of its parts, and very funny and enjoyable. My final film of the day might end up being one of my faves of the fest. Basically the feel-good film of the year, Born to Dance is a dance film from New Zealand that manages to be incredibly fun and fresh in spite of having pretty much the same plot as every other dance film since the dawn of cinema. There are a few key differences that made it stand out, mind you: it’s about Maori teens, it features an openly gay character (who is a total badass and not at all a stereotype), plus, actually, an entire gay dance crew who totally rock out in the film’s big dance championships finale. The lead actor is so adorable and the film is such a heart-warmer that I honestly can’t recommend it highly enough. Post-movies, I met up with Colin and a friend (who also happens to be our L.A. lawyer – we need one of those cuz we fancy) for dinner near the Royal, so that we could give him a tour of the cinema and enjoy some downtime in a non-TIFF neighbourhood. It felt so nice. I miss home! I came back to the hotel, ready to go to bed early and get a great night’s rest, and then felt the familiar and unwelcome tickle of a sore throat. The dread TIFF cold! HOW COULD I POSSIBLY BE GETTING IT WHEN I HAVE TAKEN IT SO EASY!? Seems unfair, doesn’t it? I haven’t even been hung over once!